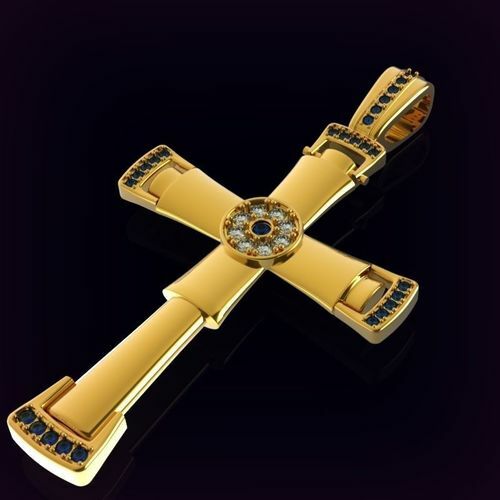 Christian cross encrusted with gems with an inscription protect and save us. The font of the inscription is made in the church style. The gems are located in the center in a circle - diameter of 1.5 mm, the gems along the edges - diameter of 1.0 mm.